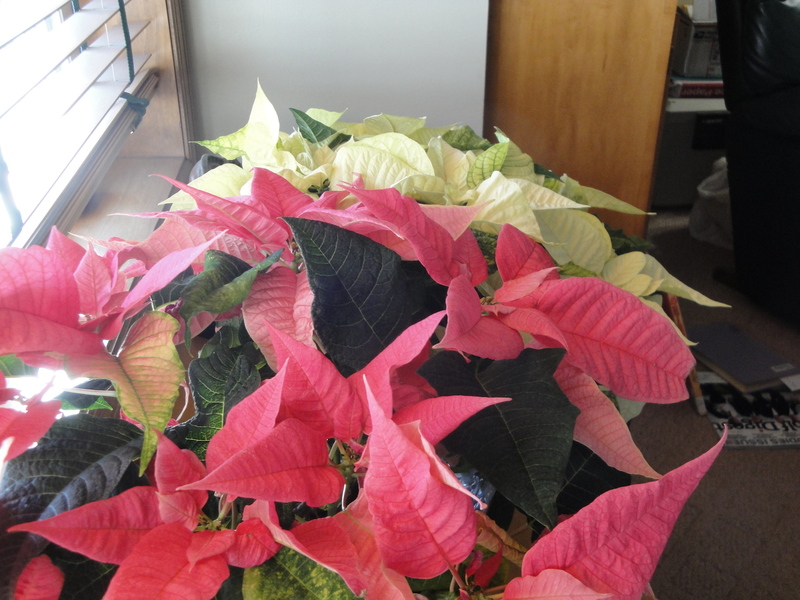 Someone Gave Me a Poinsettia—Now What? Poinsettias ready to be given as hostess gifts. I suspect my sister, Suzy, is among the many holiday hostesses looking at a leafy, lovely poinsettia this morning and wondering, how do I take care of this? I bought several of the gorgeous poinsettias being sold by the Northfield High School choir recently and gave a big, white one to Suzy, who hosted 26 family and friends at Thanksgiving dinner yesterday. Give it 6 hours of indirect sunlight a day, if you can. (That may be tricky in Minnesota in December, but choose the poinsettia’s spot with light in mind.) Many sites recommend a south, east or west window, but the plant should not touch the cold glass. Check the soil in the pot daily and give it a good drink whenever it feels dry to the touch. You should make sure the pot has a drainage hole (poke some holes in the foil wrapping, too). When you water, give the plant enough that the water runs out the hole in the bottom. If the plant is on a plate to catch the drips, be sure to empty the water so the plant’s roots don’t get too soggy. If you want to keep your poinsettia as a houseplant, give it a dose of all-purpose houseplant food after the blooming season and once a month through winter. 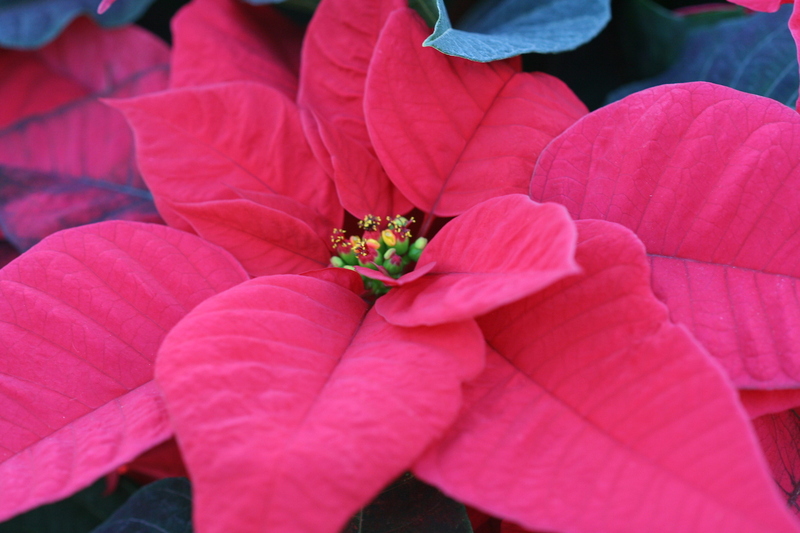 For more information on poinsettia history (did you know poinsettia’s were named after the U.S.’s first ambassador to Mexico, John Roberts Poinsett? ), selection, and care, check out this great site at the University of Illinois extension.